Oh yeah, these look like fun. Don't they?! A masculine and a feminine version. With a fun technique. 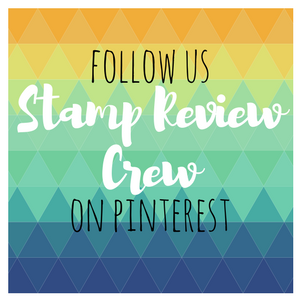 These are the last two projects from my post for the Stampin' Up! 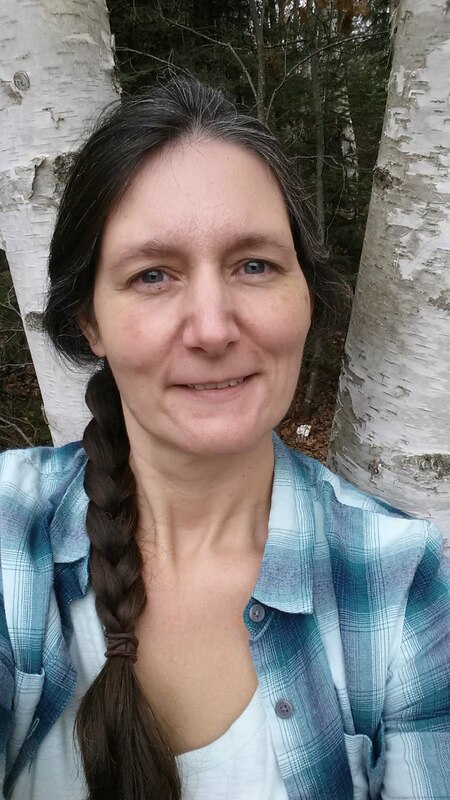 corporate blog. I decided to split the projects into three posts on my blog in order to give more detailed information in them! I used the ghosting technique on Glossy cardstock for these. 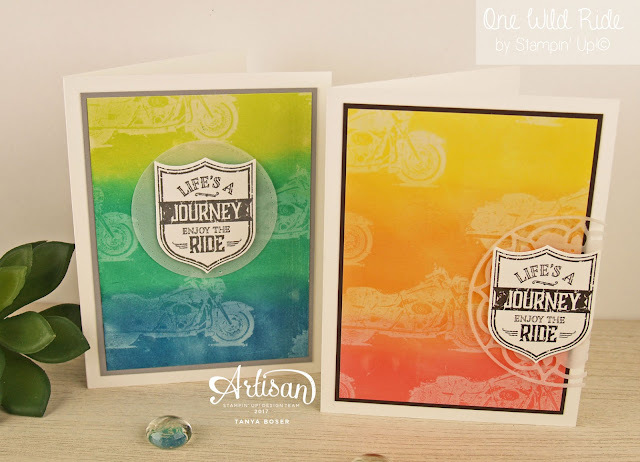 There are so many fantastic techniques to do on this cardstock! I actually made this card first, thinking about riding into the sunset. Ghosting is so simple. You just stamp your image in Versamark on the Glossy cardstock, then Sponge, or Brayer, ink over the panel. 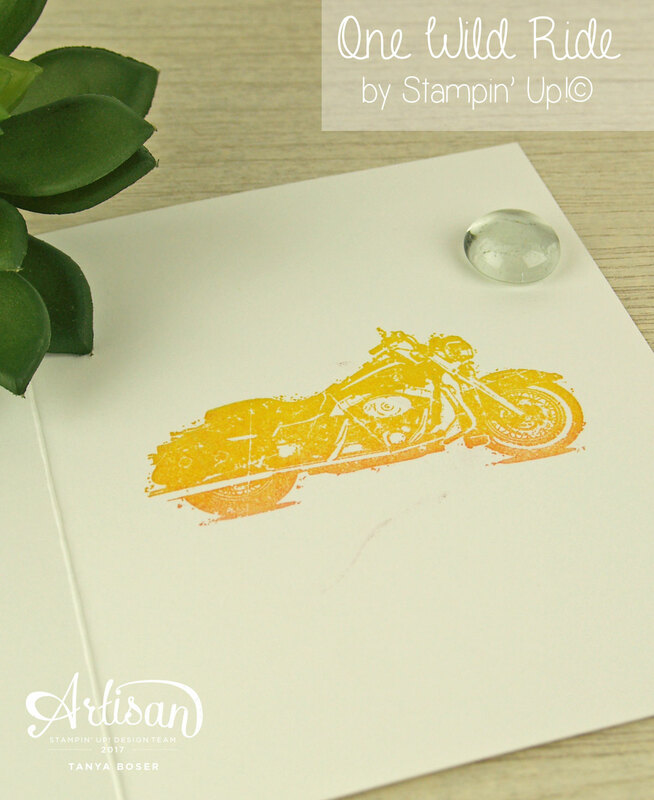 No heat embossing, no waiting for it to dry. Just go for it! The Versamark dries very quickly on Glossy cardstock, as does Classic ink. So fun! I started with the Peekaboo Peach in the center of the panel, then added Flirty Flamingo on the bottom, overlapping a bit with the Peach. Then adding Daffodil Delight to the top, also overlapping with the Peach. So smooth! I had started to stitch around this panel when it was 4"x5¼", but my bobbin thread ran out.... so I had to trim it way down! Enter the thin Early Espresso mat. Looks good, don't you think? I used the awesome Eastern Medallions thinlits combined with the largest circle from Layering Circles framelits to create the Vellum doily behind the sentiment. Sigh, I am in love with those thinlits! The sentiment is stamped in Early Espresso on Thick Whisper White, then punched out with the Best Badge punch and popped up on Dimensionals. You know we are getting Mini Dimensionals in the new catalog, right?! So excited! Both of these cards got an ombre motorcycle inside. 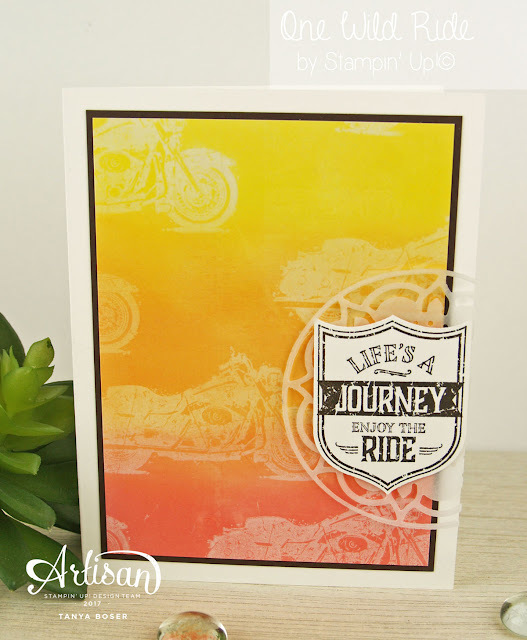 I inked up with the lightest color, then sponged the other two colors on the stamp before making my impression. Here is a video showing a 3rd card I made with this technique. I made this card the same way, but changed the colors for a masculine look. 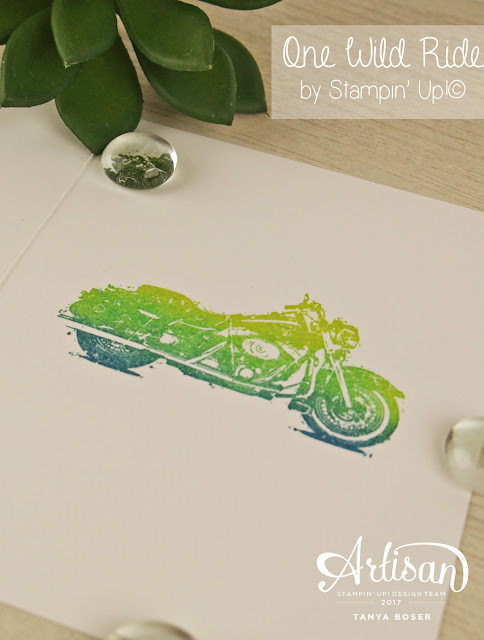 I used Dapper Denim, Emerald Envy, and Lemon Lime Twist with Archival Basic Gray inks, and Smoky Slate cardstock mat. 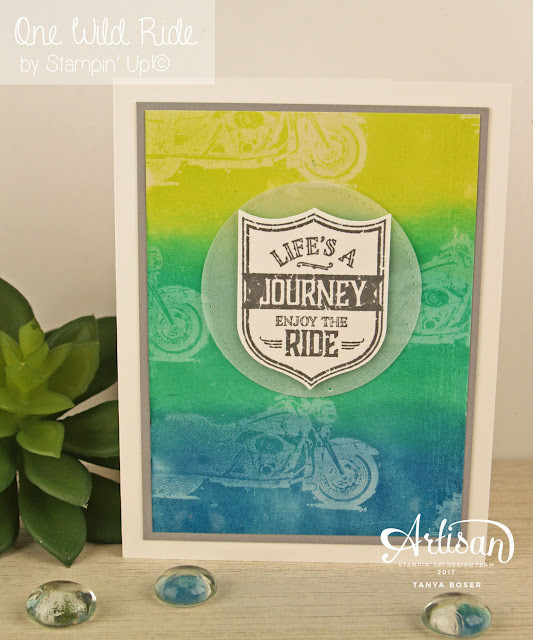 The circle behind the Best Badge punch is from Stitched Shapes, another die set that will never get old to me! This was an even better ombre effect. I think I did a better job getting the last two ink colors on this one. So, what do you think? 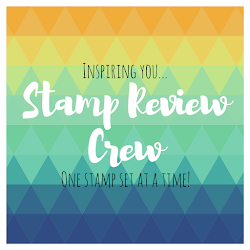 Can you see yourself using this stamp set? I think I have just scratched the surface of what can be done with it!